Soaking in a musical universe, it is quite naturally that he will go to the piano from the age of five years. He widens his horizon by beginning the oboe a few years later. He will study these two instruments until the levels superior to the Academy of Marseille where he will obtain his 1st price at the age of 18. He chooses to pursue his career with the Oboe and studies in various Academies of the Paris region. He develops his artistic and musical language with the biggest French soloists (Jacques Tys, J.L Cappezzali, J.C Jaboulay ...). After several starting prices, he closes his academic cycle by the hogeschool of Rotterdam with the international soloist Emmanuel Abbhül. He picks up his first prize of concert performer there. Enthusiast of chamber music, he participates in several sets, of which the Set Philidor with which he registers several CD. He is at present a member of the Set FA7, the purpose of which is to promote the music comtemporaine with any youngs, as well in France as abroad. 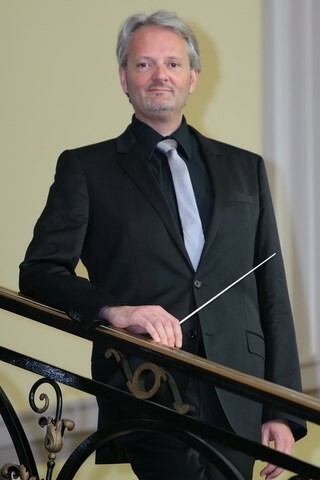 After diverse passages in the Parisian orchestras, he integrates at the post of Solo Oboe both main trainings of Troyes in 2001, which are the Harmony orchestra and the Symphony orchestra of the Aube. He completes his activity by the education in two academies of the Paris region (Chelles and Bagneux).